Rebecca began lessons at age four and has been dancing ever since! Leaving home at age fourteen to pursue a professional dance career, she had the privilege of studying with some of the world's finest dancers and instructors at American Ballet Theater in New York, Royal Academy of Dancing in London England, Royal Winnepeg Ballet in Canada, and the Bolshoi of Russia. As a student, dancer, and instructor, Rebecca is experienced and accomplished in many dance genres including ballroom, tap, jazz, hip hop, tap, lyrical, and most notably ballet to which she is a nationally certified Ballet and Pilates instructor. Rebecca loves sharing her passion for dance not only as an instructor but also as an advocate for dance & arts organizations and has served in several capacities on the boards of Civic Dance Association, USA Dance, and Dance Network of SD. She especially enjoys working with children, having been an instructor and choreographer for a span of four decades throughout the Midwest region. Dance FUNdamentals, PreBallet, Ballet, Hip Hop, Jazz & Musical Theater. Lacey grew up in Sioux Falls, SD and fell in love with dance at a young age. She began studying ballet at age five along with other forms of dance throughout high school. She received a Bachelor of Arts Degree in Political Science and Spanish, along with Minors in Human Development and Latin American Studies at SDSU. 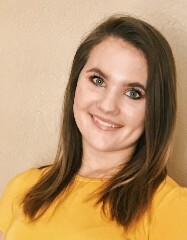 After graduation she returned to Sioux Falls where she reconnected with Miss Becky at DANCE and completed her apprenticeship to join the teaching staff at Dance 2 Studio where she can share her passion for teaching children to love dance too! Emma grew up in Hartford, SD where began studying dance in high school, taking ballet lessons. she has continued her studies at Dance 2 Studio expanding her studies in other genres to include Hip Hop, Jazz, and Musical Theater. After completing her apprenticeship she joined the teaching staff here at Dance 2 Studio where she especially loves working with young students. In her spare time Emma also enjoys teaching and choreographing Liturgical dance at her church. Ballet, Jazz, Musical Theater, Dance FUNDamentals, PreBallet, and Tap. Rachel is a native of California and began dance lessons age age 5 studing ballet, jazz, & tap at Mary Funk Dance Studio and then Idlewild Dance Company in high school. While on full scholarship at Creighton University in Omaha NE, Rachel completed her undergrad studies in Chemical Engineering and a Minor in Dance along with a one year apprenticeship with Ballet Omaha. She then attended Augustana College where she earned her Chemistry degree and while in Sioux Falls, also taught Ballet, Tap, & Jazz at Tanglefoot Dance Studio. She then attended San Diego State University where she earned her Degree in Environmental Engineering. 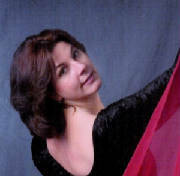 Upon returning back to the Sioux Falls area, Rachel reconnected with Miss Becky and joined the teaching staff here at Dance 2 Studio. 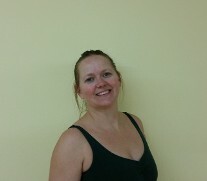 Rachel is a plant manager at Poet in Chancellor and in her spare time enjoys teaching and dancing whenever she can. 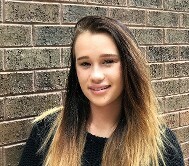 Josie began her dance study at Dance 2 Studio, quickly discovering her passion for dance taking lessons in Ballet, Hip Hop, Jazz, and Musical Theater. As the newest member of our team of instructors, Josie has recently completed her apprenticeshop and is excited to be teaching our youngest dancers - she's had alot of experience working with children at daycare, teaching Sunday school at her church, and coaching softball.